Today, I went to the Verizon Wireless store to upgrade my wife's phone to the Motorola Droid Pro . I realized that she was paying $10 per month ($120 per year) for her current text messaging plan which seems rather expensive given the costs to provide the service. If you go over your text plan than you pay an extra .20 cents per message. I asked the sales person if they had any bundled data plan packages for all data, voice and text? The answer was no. Apparently, everything at Verizon Wireless is sold "ala carte" and there are no bundled plans. So for $30 per monthly unlimited data for email and $10 per month for texting plus $59 for 450 minutes per minutes of voice is pretty much the bare bones plan. $100 per month or $1,200 per year is ridiculously expensive compared to the other carriers and about a 40% premium for what better coverage still? Dump your text messaging plan and start using Free Google Voice Texting on Android if you have an Android Phone on Verizon. Also, switch you voicemail provider number to Google Voice which will allow you to use less airtime minutes for checking voicemail and you can download the audio and transcription into your email automatically for free. 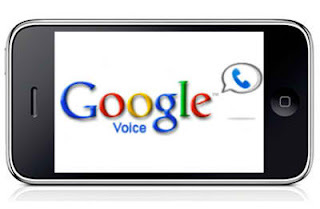 See this video overview of Google Voice. Why Does Verizon Want You to Turn Off WiFi on Your Phone? I had a strange visit to the Verizon Wireless store today to upgrade my wife's phone. I purchased her the Android Motorola Droid Pro and an "all you can eat" data plan for $30 per month. While in the Verizon store the sales person encouraged us to turn WiFi off on our smartphone for some strange reason and had no reason to justify the request. I think Verizon feels threatened by public Wifi and want to make sure that smartphone users are discouraged from using WiFI. LTE does compete with Wifi and in many cases is much faster. Not only that but Verizon doesn't even have any phones that run on 4G LTE yet. At the end of the tutorial the sales person asked if we wanted to purchase a MiFi device and create a mobile hot spot. Verizon is obviously training their sales people that public WiFi is bad and their MiFi hot spots are the way to go. I also received some strange looks when I said that I have the fastest 4G phone the G2 and it runs on HSPA+ which is 4G. I have been using an Android phone for almost 3 years and I highly recommend using WiFI whenever possible. WiFi connections can be 3 to 10X faster than Verizon's current CDMA and even new LTE network which is not available on any smartphones. Try going to Europe or outside the US and only use WiFi for VoIP Skype or Google Voice calls. Its free and can save you a lot of money. Why Does iPad Require iTunes 10.1? If you open an iPad don't expect it to be ready to use. I received the annoying message: "The iPad "iPad" cannot be used because it requires iTunes version 10.1 or later. Go to www.itunes.com to download the latest version of iTunes." OK The iPad requires your old PowerBook to have the latest paid Mac 10.5 or 10.6 Snow Leapard OS which is $29.00 and cannot be downloaded over the internet and is not free. It must be purchased at the store and ships within 24 hours which is very inconvenient. You must also sync it to your iTunes 10.1 account on a PC or Mac. If you have iTune 9.0 you are also screwed. I don't understand why this is necessary if the device has access to the internet. To me this is a major turnoff and another reason I am thinking about returning the device for an Android tablet. The restrictions and control that Apple is placing on the iPad is going to hurt sales and increase returns. If anyone has any suggestions or ideas that might help including jailbreaking the device please suggest below in the comments. If you want a more detailed explanation of the complicated iPad setup process read more at GigaOm. My solution was to download iTunes 10.1 for my PC and not upgrade to the latest paid operating system that Apple is trying to sell me. Samsung TV app store needs to get the Google TV app as well as the Android Remote Control App that lets you control Google TV from your smartphone. This would allow just about any person who owns a Samsung TV to control their television without purchasing the Google TV Logitech remote keyboard for $249. The Android app would allow you to control your TV set and browse Netflix, YouTube, Facebook easily without using your TV remote control that is very hard to type on. Google TV is sold as hardware and on Sony TVs at Best Buy. However, Google TV will likely be available as an application on any networked enabled TV in 2011 and this will be very disruptive to the cable distribution monopolies. Read more on the Google TV blog. 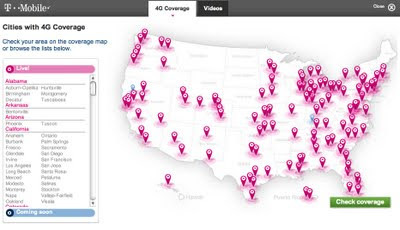 T-Mobile 4G HSPA+ in 100 Markets in U.S. Does AT&T MicroCell Use Airtime Minutes? 3G MicroCell calls are billed based on the call origination location. If the call starts on a 3G MicroCell, the call is billed based on your calling plan. Yes International charges apply Prepaid subscribers can utilize the AT&T 3G MicroCell, provided they are on the Approved User list but they cannot add the Unlimited Minute Feature. Many customers have been lucky enough to get preferential treatment. Here is how to get a free femtocell from AT&T. Who has the highest rated smartphone? T-Mobile has the best 4G HSPA+ and the largest 4G network and the best 4G phone which is the Google HTC G2 smartphone and the Froyo Android operating system. T-Mobile also has the cheapest unlimited data plans as well. The G2's very fast smartphone has an 800 mhz processor and runs on T-Mobile's 4G HSPA+ network. It comes packed with applications like Google Voice, Google Listen for Podcasts, Swipe for texting with one hand, Google Places for finding locations easily, Google Goggles, PhotoBucket and many enhanced contact syncing features for Facebook, Twitter and Gmail. 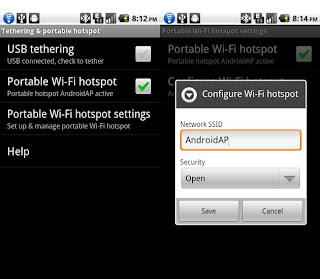 The best feature on the phone is its' Android tethering application which allows you to make your G2 device become a WiFi router or MiFi hotspot. The 2nd best feature of the device is the ability to make WiFi phone calls through your broadband or WiFi connection. Its like using a femtocell or having a cell phone booster built directly into the phone. The G2 flip up screen and the placement of the navigation bar are in the areas you would expect. The power button on top makes it easy to turn on a swipe to turn on. The screen is slightly larger than the G1 and it sits nicely in your hand to use without the keyboard. I had the Samsung Galaxy for a short time and returned and I have also tried the MyTouch. Here is a comparison of the G2, MyTouch and Nexus S phones and a comparison of the G2 vs MyTouch and Vibrant vs G2. Lucky you if you were one of the many people who waited 3 months to get your Free T-Mobile G2 phone . If you are a new customer you can get it for free and if you are already a customer you can get it for $149. Some Sprint customers have raved about the Epic and Evo 4G phones but honestly they don't compare if you are a heavy Google user or love Android. iPad and new tablet purchasers have been questioning whether its worth it to buy the WiFi & 3G iPad cost comparison or 4G versions or wait for iPad LTE. 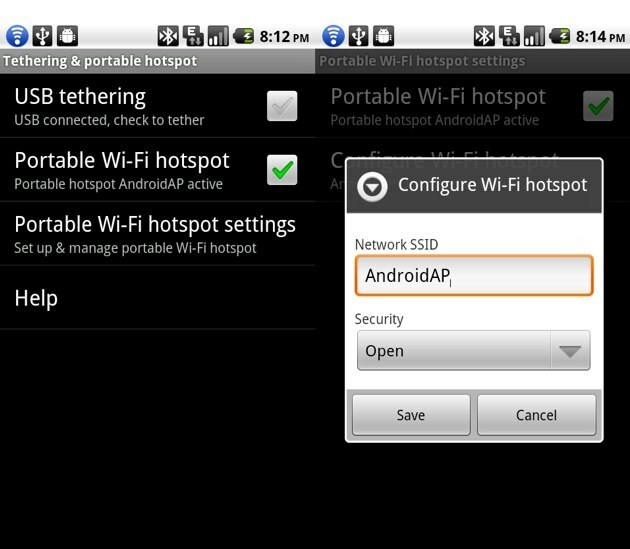 Its not necessary to pay for the additional and very expensive data plans when you can tether your HSPA+ 4G phone to any iPad. We recommend purchasing the Wi-Fi only iPad and using your existing unlimited T-Mobile data plan tethered to your G2 the best 4G phone, Galaxy, MyTouch or Nexus S.
Why is My Broadband is Running Slow? Can bandwidth speeds in your neighborhood be affected by your neighbors usage? I have Verizon FiOS at my house and during the middle of the night its blazing fast. However, during normal work hours usage seems to be much slower. Has anyone put together as senses of map or density map of where Time Warner, FiOS, Cablevision, Comcast and Cox customers are located? It would be very interesting to start selecting your service based upon the least amount of customers around your neighborhood. However, we all know that people act like sheep and herd towards the best products. Case in point being the iPhone usage collapsing the AT&T network. Haven't you notice how its easy to use an iPhone where there aren't any other AT&T customers around you competing for the same cell phone tower in your neighborhood or near your office. Does AT&T Have 4G HSPA+? AT&T has not launched their new HSPA+ network yet and likely waiting for Apple to launch the iPhone 5. iPhone 4 owners thought they would be getting HSPA+ but that is not the case. So those waiting for the iPhone & AT&T's new HSPA+ network will likely have to wait until the Spring of 2011.. Its highly likely that Apple will name name new iPhone 5 capable of running HSPA+ and iPhone 4 owners will have to upgrade to get the new speeds. Will consumers confuse this roll-out of 5G or will AT&T be ethical in their marketing and stick with 4G? T-Mobile has rolled out their HSPA+ network but we haven't heard much from AT&T who is also finishing up their network as well. It will be interesting to see how many new phone AT&T will have running on HSPA+ and if their new phones will be compatible. Yes T-Mobile has 4G. In fact, T-Mobile has the largest 4G network for smartphones that now works on their enhanced 3G network they call HSPA+. If you use your smartphone like a PC or Mac than you will be very happy with the data speeds on the HTC MyTouch, G2, Nexus S and the Samsung Galaxy. T-Mobile is rejoicing now that the International Telecommunications Union (ITU) recognizes HSPA+ will be considered as 4G. 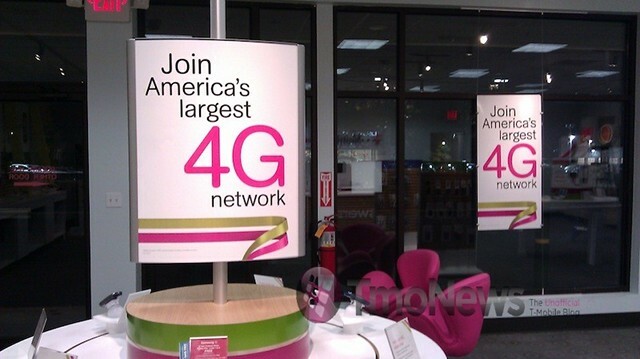 Does each carrier define 4G the same? 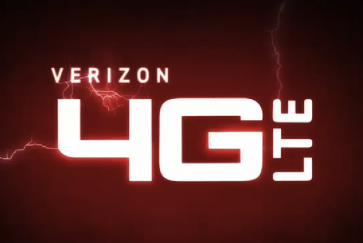 No, Verizon Wireless does not currently have any cell phones that work on LTE. AT&T HSPA+ network does not have any phones that work on them currently. Sprint 4G is based on the Wimax. So what is LTE 4G? T-Mobile is rejoicing the news that the International Telecommunications Union (ITU) now recognizes that HSPA+ will be considered as 4G speeds. However, how does each carrier define 4G? 4G can be applied to a substantial level of improvement in performance and capabilities with respect to the initial 3G systems now deployed. 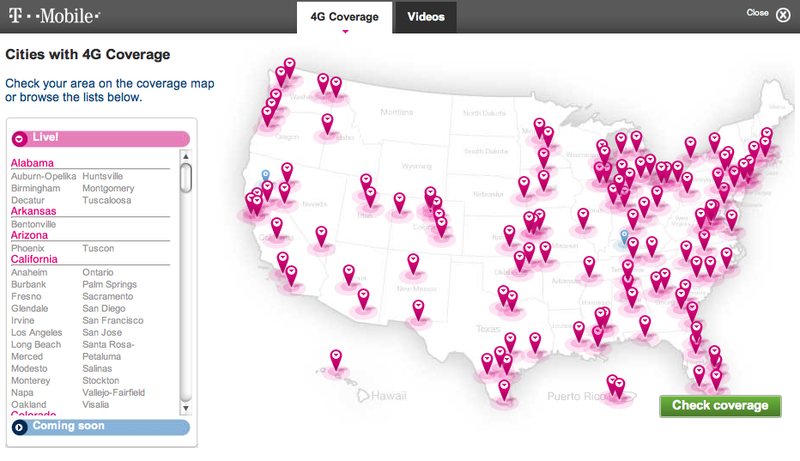 T-Mobile started getting some industry flak promoting HSPA+ network as a 4G network. 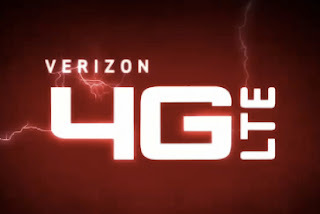 They would often use “4G” with the quotation marks in their advertisements as the acronym was not official by ITU standards. Sprint, Clearwire and Verizon have busy promoting their WiMAX and LTE networks as 4G networks, T-Mobile was always questioned if its HSPA+ network was a truly 4G. T-Mobile does have the largest 4G network as of today and the speeds are very fast for smartphone users, unlike Verizon which has an LTE network for PCs only. The ITU is a coalition that defines how wireless standards such as 3G & 4G mobile broadband technologies used by wireless carriers are marketed to consumers, has now backtracked on its earlier definitions of 4G really is. The ITU declared last month that Sprint’s WiMax, T-Mobile’s HSPA+, and Verizon’s and AT&T’s forthcoming LTE networks do not meet 4G specifications despite the carriers’ marketing pitches to consumers. It now appears that 5G will now be equal WiMax2 and LTE-Advanced next generations of today’s LTE and WiMax networks. Verizon has admitted problems with customers using LTE data cards and customers trying to use LTE modems on Macs don't have LTE drivers. There is a lag between the 3G to 4G hand-offs can take a few minutes and the transition is not smooth. Verizon LTE modem users have discovered that there is serious handoff lag when the modems switch between LTE and the more widespread 3G network, resulting in the modem holding onto its 3G connection for a while after it has entered an LTE area. 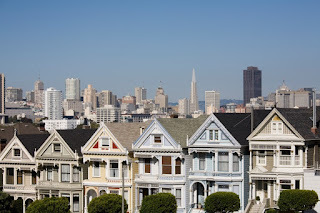 Testers have also reported that it was necessary to unplug the modem and plug it back in again in order to connect to the new network while traveling. It has been reported that can take up to two minutes to reconnect to LTE network once you have dropped off. This doesn't bode well for Verizon Wireless customers who were hoping for the iPhone. This reconfirms that Verizon is not getting the iPhone anytime soon and it also tells me that Verizon LTE smartphones are going to have some challenges on the network with dropping calls and inconsistent data connections. Comcast Xcaliber Web TV Designed to Fail? Cable subsribers are cutting the cable cord in droves and cable provider Comcast is testing a set-top box "Xcaliber" to keep you subscribed. The service brings together TV and limited Internet services. The new service is called Xcalibur and was started in response to Apple TV, Boxee, Roku and Google TV. The internet connect device has cable TV DVR functions with some internet Web features, but not those containing just a browser. This Xcaliber box will not have full access to the entire internet unlike Google TV. Not surprising to see as this move as it would give up content distribution. Comcast is only about maintaining control and will only try and keep your eyeballs glued on linear programming channels. I would recommend that all consumers ignore the misleading promotion of Comcast's version of web TV because its designed to fail. Other companies like Verizon FiOS lets customers access YouTube clips and other Web video content through Motorola hybrid IP/cable set-top boxes but the service really stinks as well. FiOS does not charge extra for the Web video features, which require users to install software on a PC. We would appreciate opinions of what other cable providers are doing but I expect its probably nothing impressive as well. 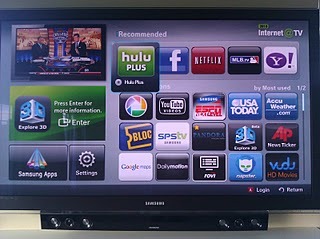 In my opinion Samsung understands internet TV distribution is going to be the leading manufacturer in this space. Sadly, South Korea is far more advanced than the United States and Samsung has been the leader in this IPTV movement. The satellite & internet radio distribution model is alive and well with Howard Stern renewing his contract with a 5 year deal and Pandora growing fast who has nearly 50M+ customers. With TV's directly connected to the internet and here are 10 reasons yon't need a cable box anymore as of the content is available for download & streaming on the internet. Sirius is working on the Sirius App for iPhone and Sirius App for Android and should be available soon. Several million people now have TVs that are directly connected to the internet and can be used as a radio for streaming audio on Pandora. I hope that Sirius starts the development and releases their app for TVs very soon. 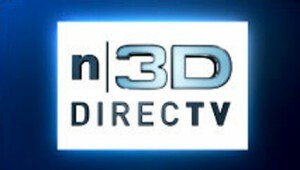 Where are the 3D channels consumers that were promised this year on cable TV? Cable subscribers of Verizon FiOS, Cablevision, Cox, Time Warner, Comcast and AT&T U-verse are still waiting patiently for their channels. 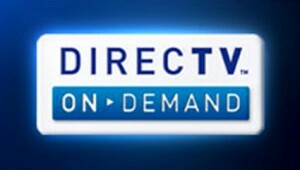 According to this blog Direct TV has 4 3D channels, Time Warner has ESPN 3D while the other cable operators have 0. 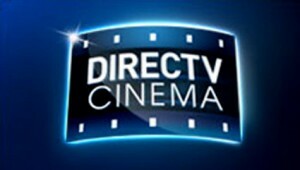 HDTV's success can be attributed to content and now 3D could draw the same road map. It is likely that nearly 1 million 3D TVs have been sold in the US and the number is growing by 50% per year and Samsung owns the majority of this market share. ESPN broadcasted 3D programming on a dedicated channel for the World Cup Soccer but that is about it for content. Comcast subscribers were able to see the Masters golf Tournament in 3D. 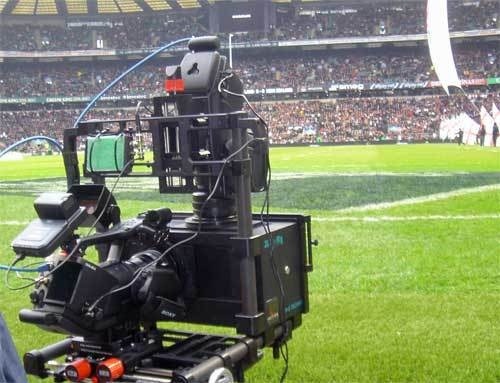 I will admit that some sports are better than other for watching in 3D and stadium events might not be that compelling unless you are watching a camera from the sideline. 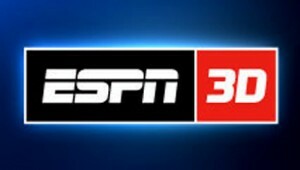 3D content is still lacking and ESPN will likely be the driver or more sports programming content with hopefully some more NFL, NBA, NHL, MLB and college football games. Why isn't Fox carrying the Super Bowl at Cowboy stadium in 3D? Golf to me is one of the greatest 3D viewing experiences having viewed the Maui open on a DVD at the store. Sony, Discovery and IMAX announced a 3D venture for programming this week to launch the first 24/7, fully programmed 3D television network in the U.S. Content includes a collection of 3D content including natural history, documentary, action/adventure, hard travel, history, hyper-reality, concerts, movies, scripted series and more. So why isn't Samsung sponsoring more sporting events to get more people interested in buying 3D HD TVs? Why is Homestead Down Again Intuit? 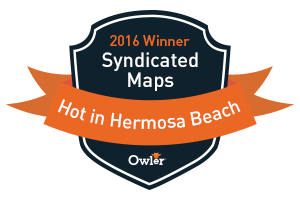 My web site maps are down because Homestead is not up for some reason. Not sure if its a server error or down for routine maintenance. Customers who host their web site usually get emails in advance of a shut down and this time we did not. I hope they get the problem fixed soon as there are hundreds of thousands of web site owners and small businesses who are losing out on the online Holiday shopping. I hope its not another Wikileaks redemption attack like was down on PayPal, Amazon and Visa. Intuit has a lot of consumer facing companies and they could be a target I suppose. After my 4th time calling customer service it was finally revealed to me that online streaming has bee down for 3 days. Call customer service for a credit on your account. I suspect they are preparing for their iPhone and Android app roll out. Or maybe Mel decided not to pay his content streaming CDN bill just like Comcast is doing to Netflix. Skype + Facebook = Face Chat? Will Facebook Buy Skype in 2011 or Release FaceChat first? Will Apple Partner with Google Voice for FaceTime in 2011? Google launch a Video Chat for the Android to compete with FaceTime or FaceChat? 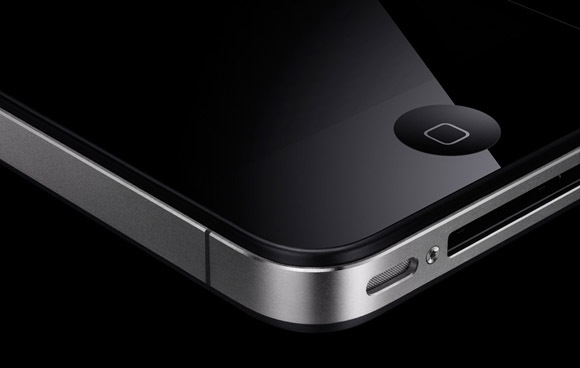 Will iPhone 4 Facetime work as promised over 3G or 4G? 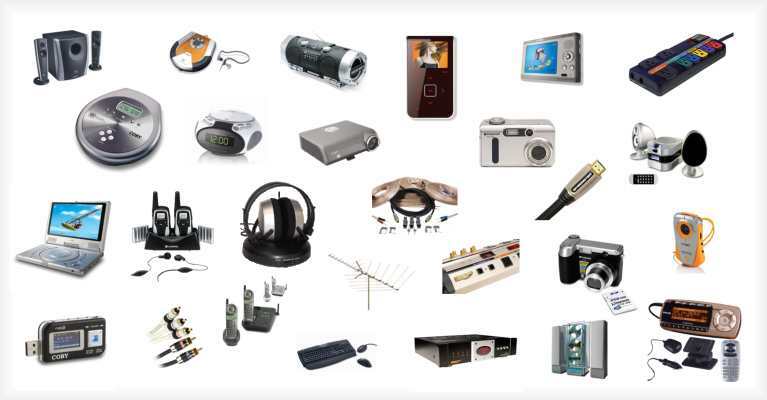 What will be the must-have electronics in 2011? Primary reason for to connecting device to WiFi or 4G? 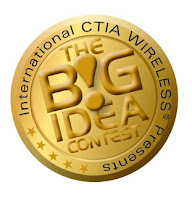 Do you have the BIG idea and want to share it with the telecom industry at CTIA Big Idea? Do you want to pay a group of random people $750 to copy and steal your concept? 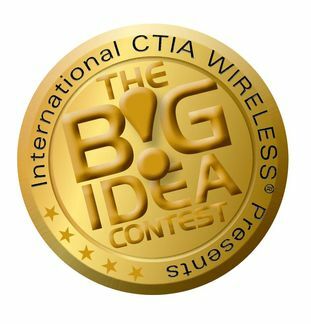 If you do, this is your chance to step into the a small industry spotlight at CTIA and share your idea on stage with more random people to try and gain attention. They couldn't possible be objective and actually highlight companies that would be disruptive to the industry could they? I would like to suggest a new category "Disruptive to Industry" that actually might make this contents a lot more interesting. 1. Apps, Content & Money - mCommerce, social networking, content, OS, platforms, multimedia, marketing and advertising, etc. 2. Enterprise & Vertical Markets - healthcare, energy, transportation, education, finance & banking, general enterprise, etc. 3. Handheld Devices, Modules and Wearables - phones, smartphones, tablets, embedded wireless, machine-to-machine, wireless clothing, wearable monitoring systems, etc. 4. Operator/Carrier Services & Network Infrastructure - LTE/4G, Wi-Fi. Wi-MAX, in-building, backhaul, convergence, testing, etc. The maximum a smartphone processor anyone needs these days is 800 MHz. Multitasking on the Android is wonderful but you don't need that much processing power to make it work fast. No regular person or application users would even be able to tell the difference between an Android G2 phone running on 800 MHz or a Samsung Galaxy with a 1 GHz or a Droid Pro running a 1.3 GHz processor. The major difference is only in the speed of the 3G network which this phone is only on. Its not on LTE or 4G HSPA+ like the G2 T-Mobile phones. I would like to see a "bake off" of users on the T-Mobile 4G HSPA+ network and someone using the Verizon Driod next to each other. Please send us a video if you have done a test. To me this commercial is just hype for a phone that weighs too much and is clunky. Verizon says the Motorola Driod ProPRO with the Qwerty Android smartphone will be priced at $179.99 after a $100 mail-in rebate with a new two-year customer agreement. Android Netflix App Release Date? 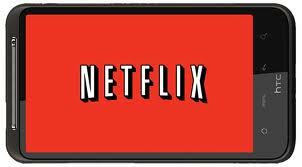 Where is the Netflix Android App? We have been reading rumors that Neflix hired developers this summer to create an Android app but we are disapointed not to see it before the holiday shopping season. I really don't care about streaming media on the application as I simply want an app to manage the queue in my library. I watch videos on my Samsung Plasma TV Netflix app that is connect to the internet via Ethernet. Sometimes I just want to lay in bed with my Android G2 phone and ad or change videos in my on demand queue. Its about time we see the application and would suggest that you simply release a small version of the application so we can manage our accounts easier. Save the streaming for a separate release date. We are waiting patiently. Please submit your comments below if you have any insight on the release date. 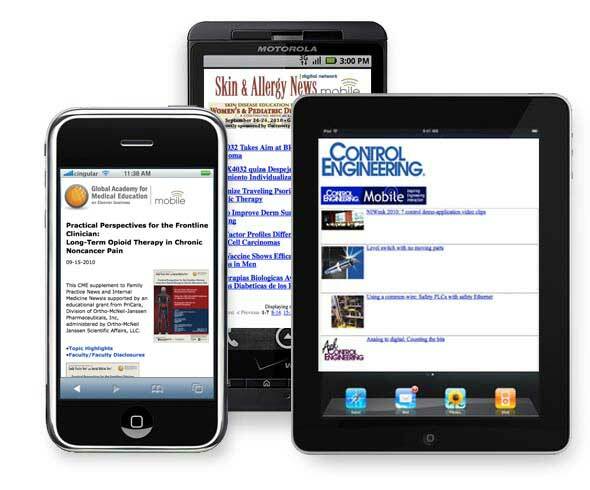 Google is forecasting huge numbers of mobile advertising dollars viewers who will be accessing content on mobile phones. However, there is one problem with this forecast in my eyes and that is the lack of mobile content that is properly formated for viewing on a 3"-7" phone screen. Now that publishers are starting to see a huge proportion of their readers using iPad's and Android tablets to view their content its going to be critical for Google to start thinking about mobile formats for their customers. 15% of our readers are accessing our blog content DeadZones.com using a mobile browser and this number is growing quickly. Below is a chart of the various mobile operating systems of our readers. I have been a Blogger.com publisher for as long as I can remember and there are likely millions of other publishers like me who make money off of AdSense. Blogger a great content management system (CMS) for small publishers and I have always resisted moving to Wordpress which is the largest competitor. However, Blogger seems to be falling behind the times and needs to help publishers start formating for mobile content. Google purchased Ad Mob to start monetizing content used n mobile platforms for advertisers but publishers are still trying to figure it out how to properly format their content. I don't want to use a developer to format content for hundreds of different mobile platforms because I will never see an ROI for me effort. This should be something that is included in the Blogger.com platform if they truly want make more money from mobile advertising. So I recently went through the exercise of signing up for Ad Mob which was easy already having an Ad Sense account and I created a mobile WAP based site. See our site at m.deadzones.com which we built using our Deadzones.com RSS feed and sending that to Mippin.com for formating. This was very easy to do but still requires my users to click on the WAP link to view the content in a mobile format. This is not efficient and the thus the bounce rate is very high for my mobile users. Blogger should be helping me auto redirect my users by detecting the browser. I am not an engineer but this seems like a simple fix that could add thousands of mobile advertising impressions to their inventory. Auto-redirecting is one technique of automatically sending visitors who click on a link to your website to view a properly formated web page at a different URL without the need to click a link. Building a mobile app is another technique that requires users to download and application in an app store and is costly to develop. Embedding mobile content publishing techniques into any CMS platform seems to me like the next step for Blogger, Wordpress and any other platform. It should not be limited to developers or enterprise applications or servers and would like see it trickle downstream to the little guy. Lucky you if you were one of the many people who waited 3 months to get your Free T-Mobile G2 phone. 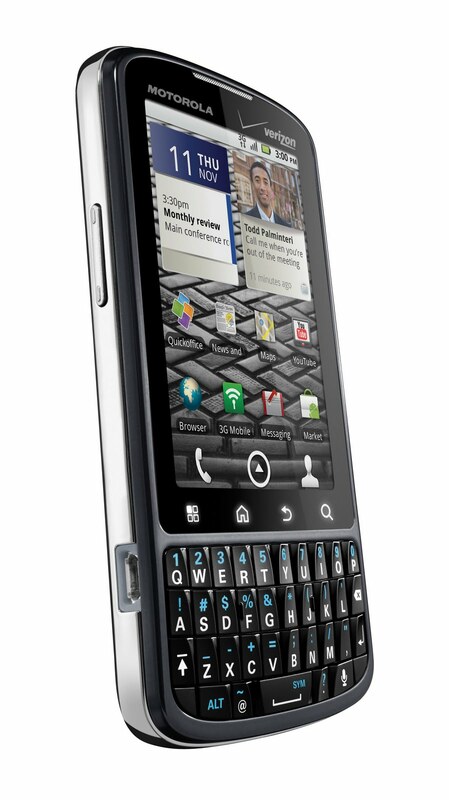 I purchased my G2 phone for $199 from a T-Mobile retail store on November 10, 2010 only 34 days ago. So today is December 14th and I see on the T-Mobile web site that they are giving the phone away for free with a new contract. So, I tried to called T-Mobile customer service and get credit on my account for $199 or $149 for the $50 it should cost me today and was unsuccessful. I spoke with the T-Mobile customer retention representative said they would NOT be able to credit my account and my conversation went something like the the Soup Nazi from Seinfeld . . .
Not only was the T-Mobile representative rude but he blatantly lied and said it was a one day only promotion which is not true. This surprised me drastically and is uncharacteristic of the company in my long history with them. I really have a hard time understanding how retailers can get away with discounting their phones at a later date essentially screwing their best customer and early adopters. Why they wouldn't honor a long time customers by crediting their account seems reasonable? Its one thing to just let it go for a $50 discount but $199 is a lot of money and now they are giving the phones away for free. Hopefully, someone from T-Mobile will contact me and give me credit to my account so I can modify this blog post into a happy ending. I did have some serious issues with my first G2 where the SD card mounted read only and now the problem seems to be resolved on the 2nd phone I received. 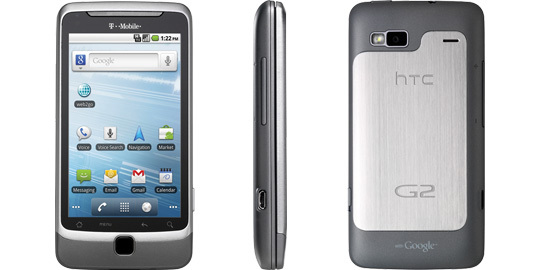 I considered getting the My Touch vs G2 and also the Samsung Vibrant vs G2 but glad I stuck with the HTC G2. Overall I love the phone and think it is by far the best Android phone. 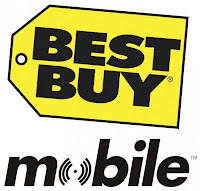 How is Best Buy Mobile Doing? The largest electronics US retailer in world today announced earnings that Wall Street did not like and sent the stock tumbling 15% during market trading to $35 per share. The company stated slow TV sales hurt the company growth and didn't give a rosy outlook for sales in the future. However, it was very difficult to gain any information about how their mobile phone sales were going and how much this sector of their business is growing. 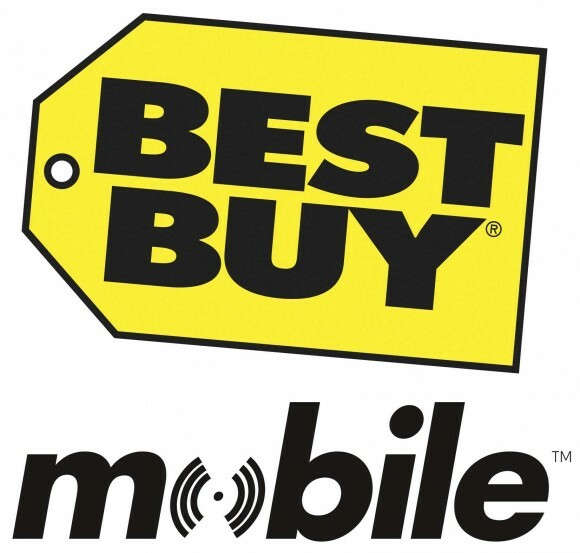 Best Buy Mobile is a partnership will Car Phone Warehouse based in Europe and was designed to provide a better shopping experience for the mobile phone customer. You would think that with all of Best Buy's mobile phone deals with carriers that this sector of their business would start taking off with smartphone sales increasing and tablet PCs becoming the new craze. If you do a search on Amazon Wireless you can find many 7" tablets and 10" tablets. When I asked Best Buy Mobile how many tablets they carried it was only 3. iPad & Verizon Galaxy and one other one I cannot remember. This was quite disappointing to see and I immediately went down the street to Fry's Electronics to see what they had. Its clear that Best Buy Mobile has an inventory and selection problem and can't decide what to recommend to their customers. Too many phones and not enough recommendation value. 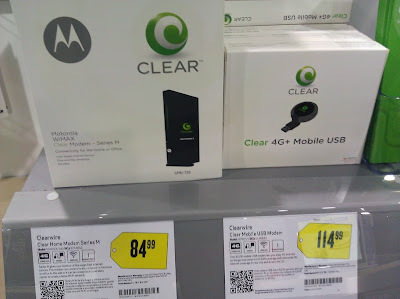 However, on my visits to Best Buy recently I typically see the mobile section of the store empty but see great deals. So what is missing? I think they are missing a hook to get consumers in the door and also provide real value to the shopping experience that cannot be done at a dedicated T-Mobile, Sprint, AT&T or Verizon store. Its not just about pricing deals any more and I know the management at Best Buy Mobile knows that. However, they are lacking in their execution of helping their customers make better buying decisions. How about rolling out your Best Buy Mobile coverage maps you have been working on for all of these years? How about a closer partnership with Google Nexus S like you did for the Nexus One? The best deal I could find in the Best Buy Mobile store was their Verizon HTC Incredible for $0. Another think I liked was their Google TV display but they should have rolled this out earlier in the Summer and it seemed late to get consumers excited about it for the Christmas shopping season in late October. Another thing Best Buy is missing is the ability to get consumers excited about using apps on their TV just like their iPhones and smartphones? They should be doing a deal with Pandora and other application companies to show customer how they can cut their cable cords and save money. Many of these recommendations go "against grain" of traditional marketing because some the technologies that are hot are not necessarily good for big business. Cable companies and wireless operators are about to get squeezed in a big way and I would suggest that Best Buy and Best Buy Mobile start to think getting further in bed with the manufacturers of the hardware and think less about the cable and wireless operator dumb pipes that are dependent on them. Consumers want to save money and reduce their dependency on cable and wireless subscriptions now that WiFI and the internet is a limitless marketplace of channels. MetroPCS needs to start unlimit their marketing department if they want to survive. The company has 7.9M customers in the US and their stock is trading near their all time low around $10-$12. The company operates 153 stores and is located in 300 cities throughout the US. However, no one even knows that the company seems to exist or what kind of phones they offer. I often wonder who is running the marketing departments of wireless telecom companies. MetroPCS has a an opportunity to capitalize on their expanding LTE network and very reasonable pre-paid 4G pricing. The company has launched its LTE 4G network and yet has received zero publicity for this effort or their leadership. 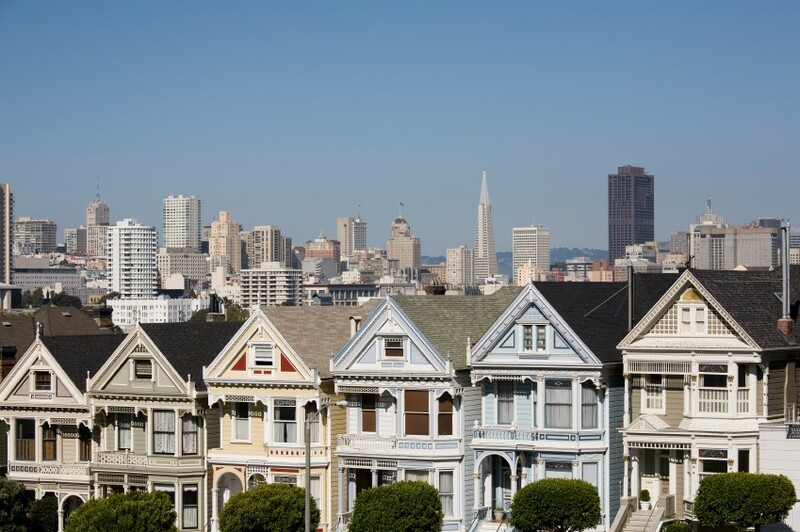 The company has also been a leader in their distributed antenna systems DAS deployments in many neighborhoods throughout the US but you probably haven't heard of this as well. Here are both of the commercials I was able to find on YouTube. I have no idea what the company is trying to tell me in these commercials other than their possibly their target customer base are Indians living in the US? We have some ideas of how they could come up with a marketing message to compete with the big boys and would like to see them compete. If you happy to live in a Clearwire coverage area you might want to consider saving some money and cut your cable or internet service provider. If you are a not a sports fanatic and consumer most of your content on an iPad or mobile device that you might be part of the new generation of consumers who are cutting their cable TV cords. Most people I know pay between $100-200 per month for TV, Phone and the Internet. Now you can purchase a home modem or the Cradlepoint mobile (Mifi like) router and use it to power your home or office WiFi. If you only have one computer in the house I would opt for the Clear 4G+ Mobile USB. For $30-$70 per month it makes a lot of sense especially if you don't need a home phone line and have good cellular reception as well. However, they do have a bundle that includes a phone line if that is necessary. This could be an especially great option if you are mostly consuming media on the internet and not uploading a lot of files or using cloud computing. You need to make sure you try it out and test the maximum upload speeds of 1 to 1.5 mbps first and make sure you are happy with it. The company is not very transparent about their slow upload speeds and the latency you might experience. However, the slow upload speeds can work for those who mostly read the news on the internet use it for social networking on Facebook. At 5 mbps at peak rates it works just fine for watching video as well.